Biological nitrogen fixation (BNF) is the term used for a process in which nitrogen gas from the atmosphere (N2) is incorporated into the tissue of certain plants. In forage production, the group of crops known as the forage legumes are able to obtain N in this way. The process is made possible by a symbiosis between a forage legume and soil bacteria in the genusRhizobium. 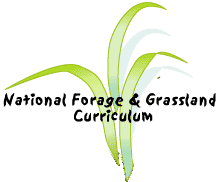 The presence of BNF in forage crop production offers a number of benefits to forage producers and society. BNF represents a sustainable form of N production that can lower fertilizer costs, increase soil N fertility, and thus increase profits for the astute forage producer. The magnitude of BNF varies among forage legumes and due to environmental conditions, but in general is estimated to be in the range of 10 - 200 kg N/ha/year or growing season. Specific factors that influence the rate of BNF in a given crop or mixture include soil fertility, soil pH, crop yield, weed competition, and pest damage. In some cases the rhizobia present in the field may be sufficient to provide high rates of nodulation and BNF in forages. In other cases it will be necessary to inoculate forage crop seed with appropriate species of rhizobia. Inoculation of forage seed may be achieved by using pre-inoculated seed or by inoculating the seed at the time of planting.